Here is my discussion on the document that is about the new Public Finance Bill of 2014. Professor Ezra Suruma wrote a paper called ‘Will Parliament lose influence to the Executive in the budgeting process under the new Public Finance Bill?’ in August of 2014 (Suruma, 2014). Ezra Suruma is a Ugandan economist he works at the Brookings Institute in Washington D.C. where he is a part of the African Growth Initiative of in the institute. Second occupation is senior advisor to Ugandan President on finance and economic planning (Wikipedia, 2014). Ezra Suruma says about the part of macroeconomic and fiscal policies where he is quoted to say: “The development of fiscal policy and the charter of fiscal responsibility lie solely with the minister. However, in the first session of Parliament, the minister is required to prepare and submit to Parliament the Charter of Fiscal responsibility for approval” (Suruma, 2014, P: 2). “Fiscal policy comprises decisions about government spending and taxation. These decisions are made with a view to goals such as the optimal allocation of resources, economic stabilisation and the longer term sustainability of public finances” (New Zealand Government, 2005). So if there is only transparency for the Minister and not the responsibility for the Parliament to oversee an approval. Then we know that there will be instances where the Ministers doesn’t have to show their progress or work to a broader public. This isn’t what you would call a transparent fiscal policy from the government of Uganda. “The Minister shall within one month of the commencement of the first session of Parliament, submit to Parliament the Charter of Fiscal Responsibility for approval.”(Suruma, P: 2 2014). Suruma comments that it will only take from 31. December to the 1st of February until reading the budget, something which seems like a little time to prepare and give the opposition time to answer and make switches and tweak the budget of that year to come. “(1) The Parliament shall analyze the policies and programs that affect the economy and the annual budget and where necessary, make recommendations to the Ministry on alternative approaches to a policy or program. (2) The Parliament shall ensure that public resources are held and utilized in a transparent, accountable, efficient, effective and sustainable manner and in accordance with the Charter of Fiscal Responsibility and the Budget Framework Paper.” (Suruma, P: 2, 2014). All of this should be in a bill, if you expect the parliament to shine lights on the budget and are main objective for the Fiscal Responsibility. The Parliament should make recommendation to the Ministry to a certain policy and give insights to other visions of what the government need to use sufficient funds and budget enough for the expenses of running the state and its obligations to its people. “12. Approval of annual budget by Parliament (Suruma, P:3, 2014). any other Bills that may be necessary to implement the annual budget (Suruma, P:3, 2014). (2) Where the President is satisfied that the Appropriation Act in respect of any financial year, will not or has not come into operation by the beginning of any financial year, the President may, in accordance with Article 154 Constitution, by warrant under his or her hand, addressed to the Minister, authorise the issue of monies from the Consolidated Fund for purposes of meeting the expenditure necessary to carry on the services of the Government, until the expiration of four months from the beginning of that financial year, or from the coming into operation of the Appropriation Act, whichever is the earlier” (Suruma, P3-4, 2014). As Suruma himself commented on page 3.Read directly part 12:2. Do you see what it is really is saying. That it has to be “one third of the budget would be approved by the executive without the approval of Parliament”. The Executive approve one third of the budget without the Parliament. That is lots of money that doesn’t need any transparency, or votes to the public unit, or in the view of more than the executive. Suruma continues on Page 4: “If this is approved it will reduce the power of Parliament from 100% power over appropriation to 67%. The appropriations for 33% or the first 4 months of the year will now shift to the President” (Suruma, P: 4, 2014). As you see that the approved power will be 33% will be delivered directly to the president. They have only 67 %. The Parliament is supposed to have a full discloser and 100 % power of the budget, not a little over 50 %. “Although the minister may increase the appropriation of a vote by 10%, the amount so increased must come from the Contingency Fund. The Contingency fund has been raised slightly to 3.5% of the budget” (Suruma, P: 4, 2014). So the minister of finance has also gotten more power than before. Just see the percentage of the vote that he has for the Contingency Fund and also the piece of the whole budget. “28. Investment of balances on the Consolidated Fund. of trustee funds and approved by the Minister. Who approves the financial institution to be invested in? There is room for considerable corruption here. What is meant by “an investment authorized by the law? Which law? The “trustee funds” are not defined in this law’s definitions (interpretations). Does authorization by the minister place her at risk? This here has already Suruma pointed on big important points and questions that should be visible and addressed. Like which law question is just so cold and still so clear what he means when Suruma ask it. The minister has authorization and also right to choose investment even though it doesn’t say what kind of law that is authorization to the funds he needs to provide investments or what powers he need to give rights to authorize the actions of the ministry. (5) An Accounting Officer shall be responsible and personally accountable to Parliament for the activities of a vote (clause 43 (5) (Saruma, P: 5, 2014). As Suruma says and is understood that there is technocrats, there is only Parliament is mention in the law from the page 5 is on a previous audits. As it seems there is technocrats who gets the overview over the budget and not the parliament. This has become very natural process in many nations from the USA, Zimbabwe and even Greece. So this is not a problem only for Uganda, but a modern day issue which shouldn’t be left under a rug. Under Amendments on page 6 (Suruma, P: 6, 2014). The Committee on National Economy Suruma himself even he comments that the power over the Committee is the Executive branch of the Government. This means that the President can control the Committee on National Economy. “(1) There shall be a Parliamentary Budget Office within the Parliamentary Services with the Clerk of the Parliament being the Accounting Officer, consisting of full time and part time budget and economic experts as may be required from time to time” (Suruma, P: 8, 2014). (i) Report on any other subjects relating to fiscal policy and performance requested by a committee or initiated by the Parliamentary Budget Office in the interests of assisting Parliament. (1) The Minister shall report at least twice per financial year on Government’s performance against the fiscal objectives in the Charter for Fiscal Responsibility and Annual Budget. The continuation is of the problem that we’re on page 6. The technocrats have the powers over the budget and not the parliament who will execute the budget on these matters. It is not something new in this matter, it’s kind of normal in our day and age. NPM – New Public Management and those technocrats get their wisdom across instead of the people we elect. The Bank of Uganda plays a leading role as the account holder of the Petroleum Fund and the operational manager of oil revenue investments. The Uganda Revenue Authority is the institution empowered to collect and receive the oil revenues and then pass them on to the Bank of Uganda. The Minister, the Secretary to the Treasury, the Accountant General and the Auditor General are all central figures with numerous powers in the management of oil revenues. Parliament is also a key player in so far as it has the ultimate power to decide how much should be taken from the Petroleum Fund and placed on the Consolidated Fund and how it should be spent (appropriation). The Investment Advisory Committee is appointed by the minister of finance and is supposed to advise her (him) on the policies to follow in investing the oil revenues. External Investment Managers are the investment banks, brokers, financial advisers etc who will be selected to manage the petroleum investments overseas. 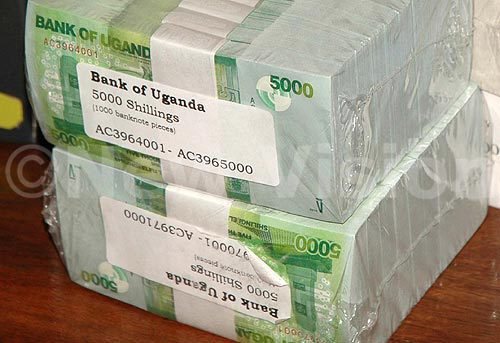 The powers of the Advisory Investment Committee appear to conflict with those of the Bank of Uganda in deciding what to invest in and with whom. It is difficult to see how the minister will negotiate between these two policy advisory bodies. The minister has potentially damaging powers of determining “other qualifying instruments” in which the funds can be invested. This power will make her the subject of “vultures” seeking to woo her to invest with them. The phrase should be removed. The Bill allows investment in “derivitives” which I consider unduly risky. I do not think it should be a qualifying instrument. The idea that anyone can determine the relative risk of the underlying instrument vis a vis the derivitive and then determine that they have equal risk is in my opinion not realistic. Although the amendments purport to create only one Petroleum Fund and to abolish the “Investment Reserves Account” yet the Bill reverts to the term “Funds” in place of “reserves” and sometimes speaks of investments. At the end of the day it seems certain that there is more than one “Fund”.There may be one “mother fund” but the context of the law suggests that there will be many funds and investments. So the amendment creates more confusion than clarity. The idea of an “agreement” between the Minister and the Governor to manage the investments properly seems to add to the confusion. 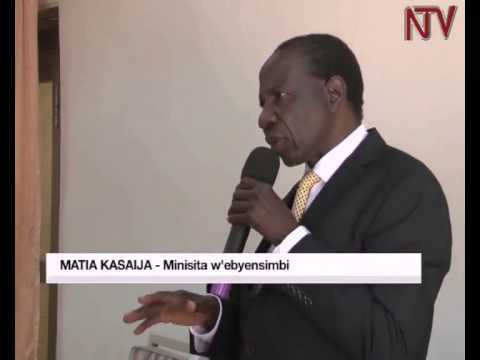 On top of that the minister is to give “directions” to the Bank of Uganda on how to invest. Do not forget that there is also an investment policy arising from the Investment Advisory Committee. The number of reports which Bank of Uganda has to give and the frequency, while reassuring, is mind boggling. There are requirements for monthly reports, forecasts, semi-annual reports, annual reports, annual plans, audits, 10 year plans, schedule of investment managers, risk assessment reports, compliance reports etc. Similarly, the minister has to make corresponding reports to Parliament. (a) Can bank of Uganda do all these reports and continue to its other responsibilities such as banks supervision and monetary policy? (b) Can the Minister or the Parliament possibly absorb all these documents? There is confusion in the utilization of oil revenues. On the one hand Parliament is to decide how much to appropriate from the Fund to the Consolidated Account. It is also to decide the appropriations to different votes. Yet the Bill purports to legislate, before hand that the oil money can only go to infrastructure and development projects.So when it comes to access to the government oil funds the direct beneficiaries will be the external investment managers, the external owners of infrastructure companies (the road and power constractors) and the districts of the oil producing areas who will get 7% of the royalties. The rest of us will be indirect beneficiaries – those who drive and those who have access to electricity. The rural populations will wait for a long time. Employment is mentioned once in Schedule 2. Pension for the aged or disabled is not mentioned. Health insurance is not mentioned. Credit for businesses and for agriculture is not mentioned. No new banks, no new directions to increase access to more and cheaper credit. Even education does not seem to feature anywhere. Only hardware and external beneficiaries are clearly demarcated. As seen on Petroleum Revenue Management you can see that there are many actors in it. For the Bank of Uganda and Uganda Revenue Authority has their part. Then it’s all the different parts of the government which is supposed to follow the industry of the oil revenue. From the Parliament, Treasury Secretary to the Investment Advisory Committee and also the External Investment Managers. With this it proves that it should be transparent with the Oil revenue because it has to go by everything from the National Bank of Uganda, the tax office in URA and all the Governmental institutions and committees. This tells it all. I think the eight points that Suruma has pointed out I don’t think I need to address since there are so valid on their own. You should think about them yourself! There are just a lot of issues for the government and the parliament together with the other institutions of finance that the government has at its disposals. The technocrats have a lot of power when it comes to budget and also the financial of fiscal transparency. Public Transparency Bill gives much more power to executive branch or the President. The Parliament will now have around 60 percent of its power instead of a 100 % as it has today. Which is a big step for the government and also with the movement of financial transparency has the same issue as the rest of the world where the technocrats has a lot of power over the planning and executing the budget, and not the Parliament or the Executive branch. Even if the Executive branch is getting more place, even the; “Although the minister may increase the appropriation of a vote by 10%, the amount so increased must come from the Contingency Fund. The Contingency fund has been raised slightly to 3.5% of the budget”. This proves that both the Executive branch, the president and also the Finance Ministry gets more direct power even if the technocrats get a bigger oversight over the budget and the finances of the state. PS: Want to say thanks to Parliament Watch Uganda! For loading the document online.